Plan a visit to the Bloedel Conservatory! It’s a warm and lush tropical get away to relax, recharge and reinvigorate the whole family during the holidays! Plus, the antics of all the birds are sure to bring a smile to everyone’s face. 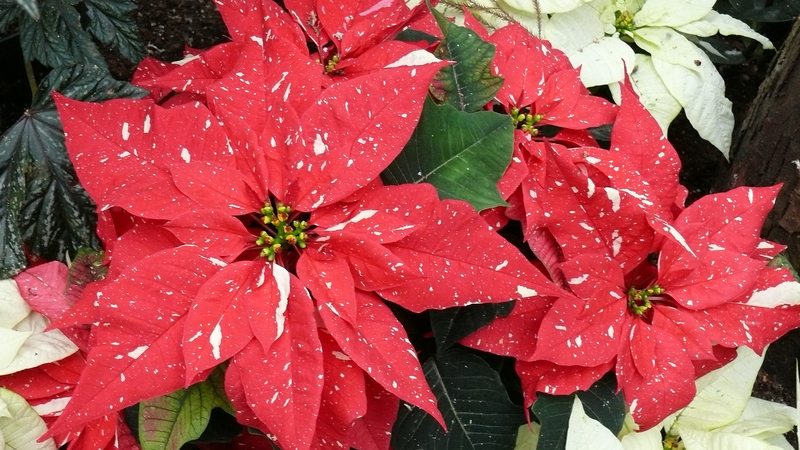 Currently there are hundreds of poinsettias – over a dozen different cultivars – on display for the festive season! 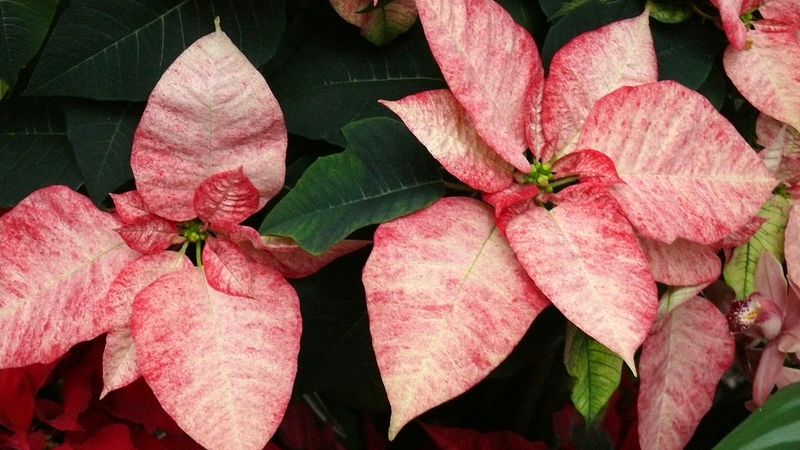 Poinsettias are right at home at the Conservatory. While they are the most popular of all Christmas houseplants, poinsettias are actually indigenous to the tropical climates of Mexico and Central America. The Aztecs called poinsettias “Cuetlaxochitl” (from cuitlatl, for residue, and xochitl, for flower). They used the plant for its medicinal properties to control fevers and the bracts (modified leaves) were used to make a reddish dye for fabrics. Legend has it that Montezuma, the last of the Aztec kings, had poinsettias brought into what now is Mexico City by caravans because this beautiful plant could not be grown at high altitudes. Today the poinsettia is known in Mexico and Guatemala as “La Flor de la Nochebuena” (Flower of the Holy Night, or Christmas Eve). In Chile and Peru, it is called the “Crown of the Andes”. The botanical name Euphorbia pulcherrima (meaning ‘very beautiful’) was assigned to the poinsettia by the German botanist, Wilenow, because he was dazzled by its brilliant color. The poinsettia was introduced to North America in 1825 when the United States’ first ambassador to Mexico, Joel Robert Poinsett, sent several plants back to his home in Greenville, South Carolina. 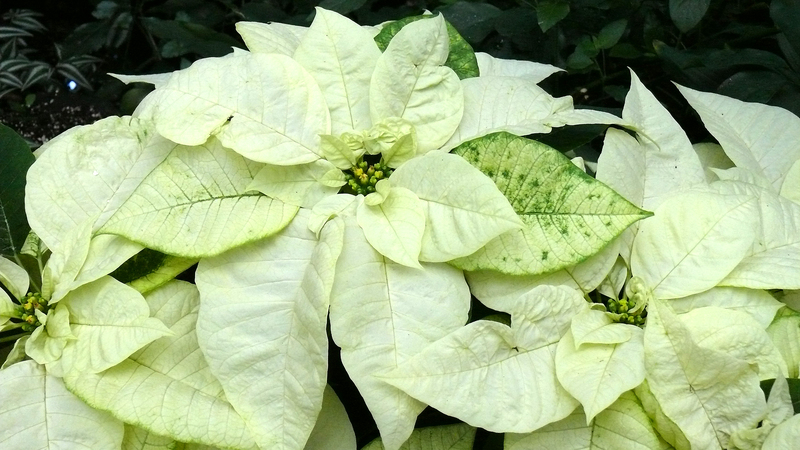 William Prescott, historian and horticulturist, renamed the plant ‘Poinsettia’ in honour of Poinsett. The poinsettia grows in the wild as a shrub or small tree, typically reaching a height of 0.6–5 metres (2–16.5 feet). Typically, the plant has dark green leaves that measure 7–16 centimetres (2.8–6.3 in) in length. The colored bracts — which are most often flaming red but can be orange, pale green, cream, pink, white, or marbled— are often mistaken for flower petals because of their groupings and colors, but they are actually leaves. 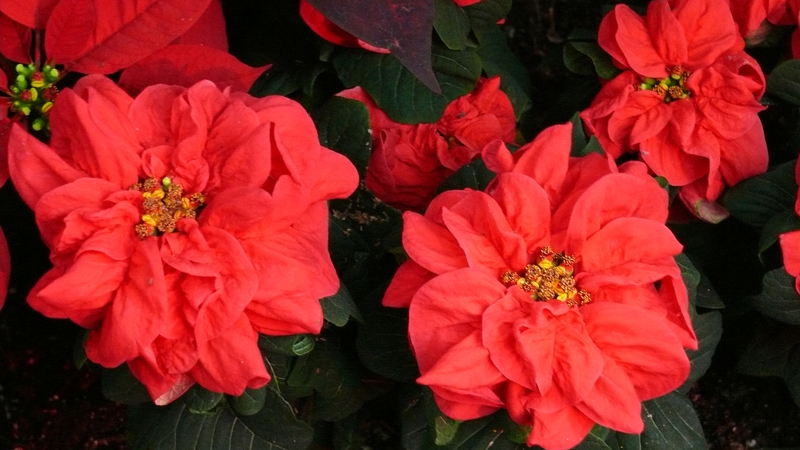 The flowers of the poinsettia are unassuming and do not attract pollinators. They are grouped within small yellow structures found in the center of each leaf bunch, and are called cyathia. 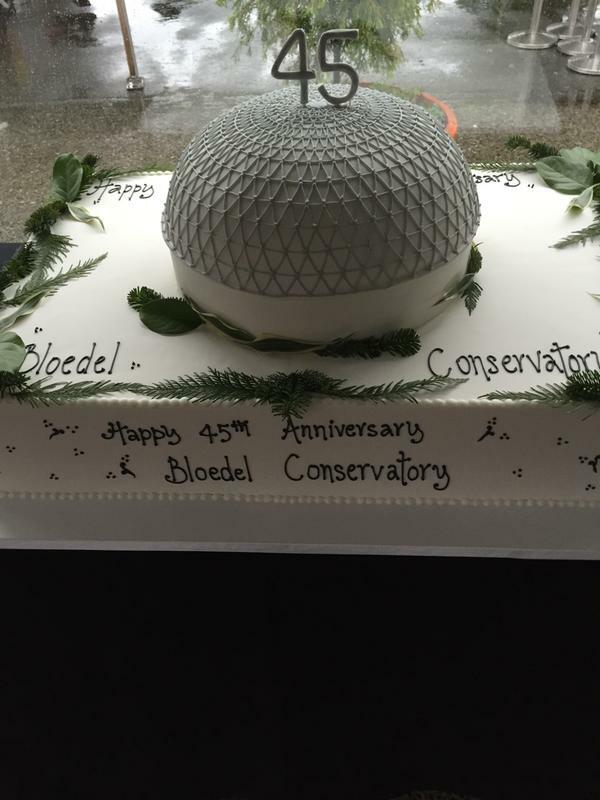 Once again, we send a big thank you to all who came out on December 6th to celebrate Bloedel’s 45th Anniversary! It was a fantastic party with Hawaiian Dancers, rhythms of Soul Survivors Steel Drum Band, a Professional Face Painter, Sven and Jens the whimsical and talented Scandinavian Gnomes and of course hot chocolate and cake. The party would not have been possible without the backing and organization from the Vancouver Park Board, the support of the VanDusen Botanical Garden Association, Greyhaven Exotic Bird Sanctuary and all of the fantastic Bloedel staff and volunteers. Thank you to all. We look forward to many more years and exciting things to come!